I recently got a hold of some fun photographs from the production of a 21st Editions project – An impressive edition of the work of photographer Jerry Uelsmann. 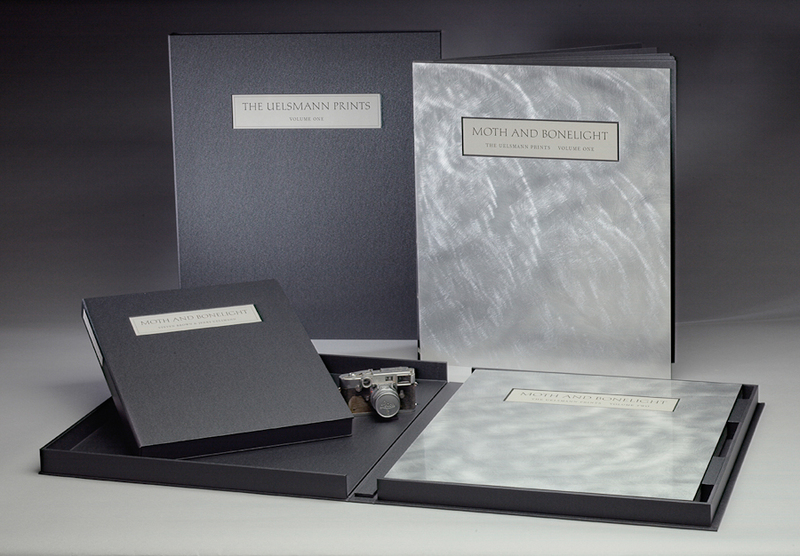 Each book is in two volumes with a total of ten 16 x 20 inch (40 x 50 cm) silver gelatin prints printed by the artist. The book structure and signature hinging style are the brain child of Daniel Kelm. Each page consists of a 20 x 24 inch (51 x 61 cm) aluminum panel configured with sections of brass tubing all along the spine edge. This tubing allows the page panels to be hinged together with stainless steel wire and sintered stainless steel hinge pieces. The pages are designed such that they can be individually removed for display or framing without compromising the book structure. Thanks to Sami Keats for the great photos. Sami was shooting various steps of the production process in order to document the ambitious undertaking. From planning to prototyping and through production, such a project can easily span several years. It was great to be involved with Dan in designing the structure for such an impressive volume. Subsequently, I took over a small portion of the production of the pages in my own studio and worked on it with the diligent help of my colleague Douglas McCormick. 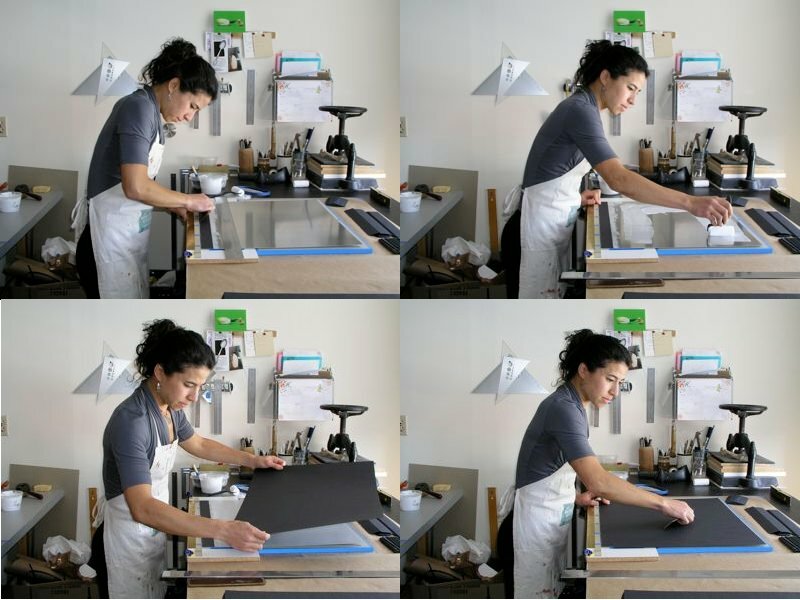 These photographs detail various steps of the page construction that we undertook. Learn more about this amazing project here.